FRIENDS!!!! I wrote a BOOK!!! And I'm PUBLISHING it!!!! It's called Feeling Better: A Field Guide to Liking Yourself, and it's a collection of all the habits and practices I used to go from total and complete self-loathing to actually liking myself, which also turned out to be the major cause of the depression I was living with at the time. The book is set to release in February of 2019, and will be available on Amazon and Indigo Books. Want to know more and stay in the loop on presales and other news??? 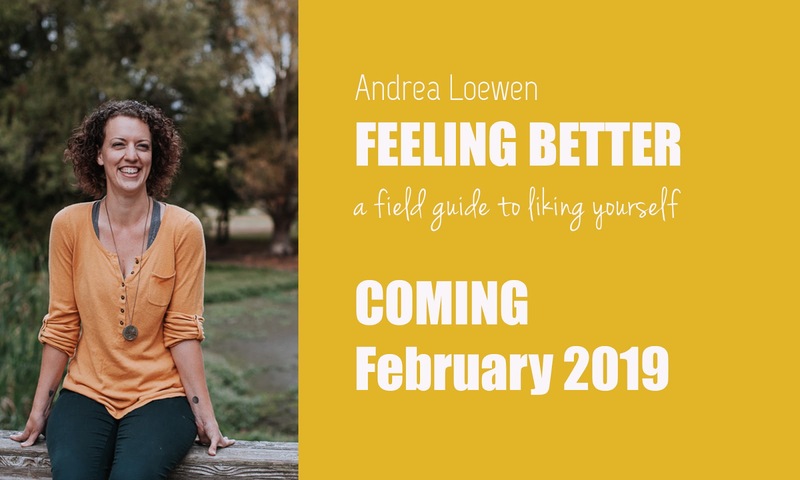 You can sign up to get notified when presales are available at feelingbetterbook.com (scroll to the bottom). You can follow @feelingbetterguide on Instagram. You can like my author page on Facebook.